For the past two years members of the Fe y Justicia Worker Center have brought to public attention the prevalence of wage theft in the city by taking to the streets, convening community forums, and meeting with City Council members, business owners, and community members to inform them about the direct and indirect impact of wage theft on the local economy. The Down with Wage Theft Campaign has been a long process. The legal language of the ordinance was developed as a sound public policy proposal incorporating the demands and vision developed collectively by low-wage workers employed in various industries that had direct personal experience with wage theft. Members of the Fe y Justicia Worker Center prioritized the need to increase real consequences for companies and employers that demonstrated disregard for the dignity of workers and wage and hour laws. 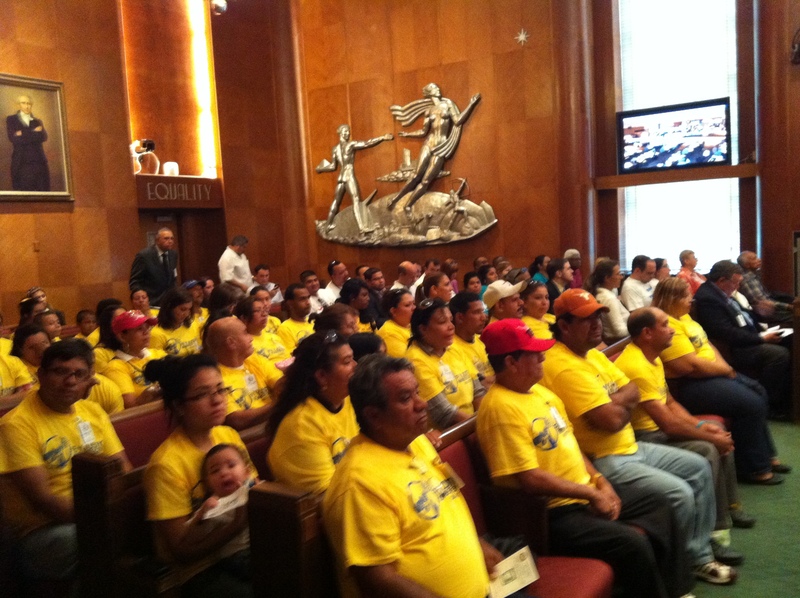 The ordinance was then submitted by the Fe y Justicia Worker Center with support from its legal team to Mayor Parker and City Council members, and promoted in Houston neighborhoods by constituents in each of the city council districts. 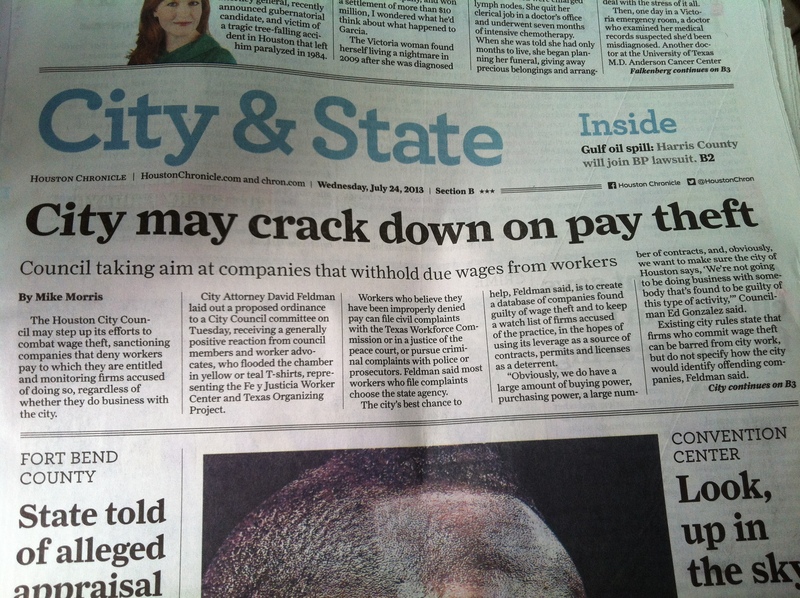 The tireless efforts of low-wage workers are paying off! The proposed ordinance was finally brought up for formal discussion at City Hall at the Public Safety Committee on July 23rd, 2013. At the Hearing, City Attorney Feldman presented an overview of the proposed ordinance and responded to questions and requests for clarification from Council Members, and then comments were open to the public. Responsible business owners, workers, and people of faith spoke out in favor of the ordinance while the full-house of over 200 supporters stood in symbolic agreement. 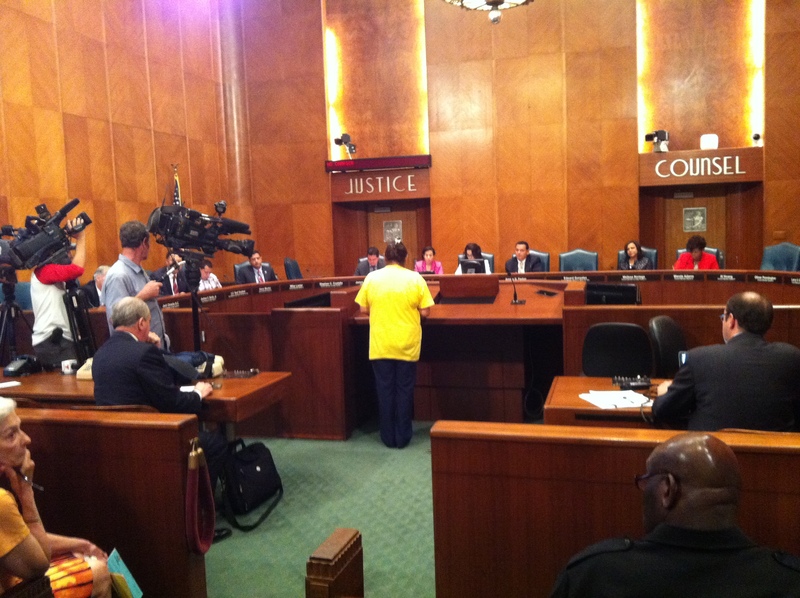 Each speaker provided their perspective on the importance of implementing an ordinance to stop irresponsible businesses from taking advantage of families, the community, and the City of Houston by not paying workers’ the wages they owe them. Beatris Arboleda echoed him: “As a responsible family business providing cleaning services, we faced many challenges because it is impossible to compete with irresponsible employers who avoid paying taxes and permits and are stealing wages from the workers. Therefore we endorse the wage theft ordinance because this will compel unscrupulous employers to pay the wages they owe workers. It will set a precedent in the history of Houston and be an incredible asset for the current administration because it will be a pioneer model to be followed by other cities in the state of Texas. Reverend Ron Lister spoke about the moral and ethical responsibility of business owners and urged City Council members to vote in favor of the ordinance. Please join the Fe y Justicia Worker Center effort to ensure justice for all victims of wage theft, an equal playing field for responsible businesses, and to make the City of Houston a fair and equal work environment. 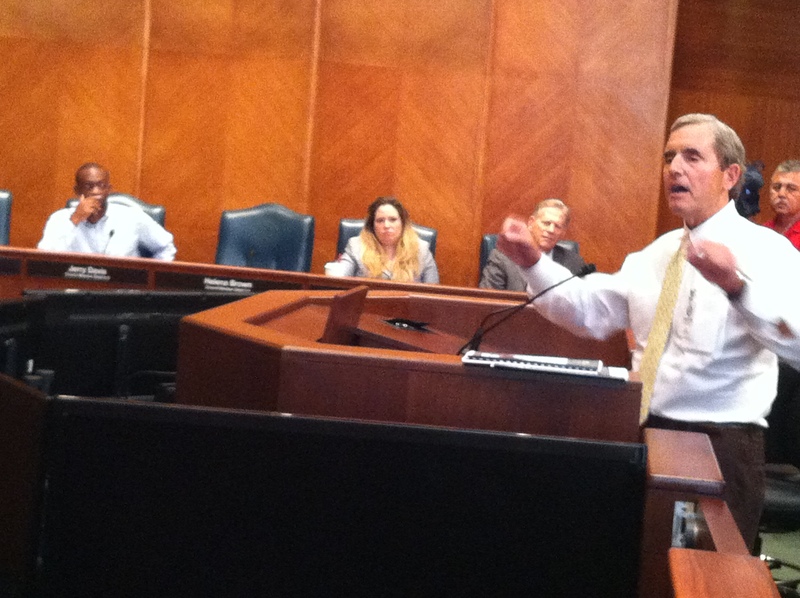 Together we are writing a transformative chapter in the City of Houston’s history. 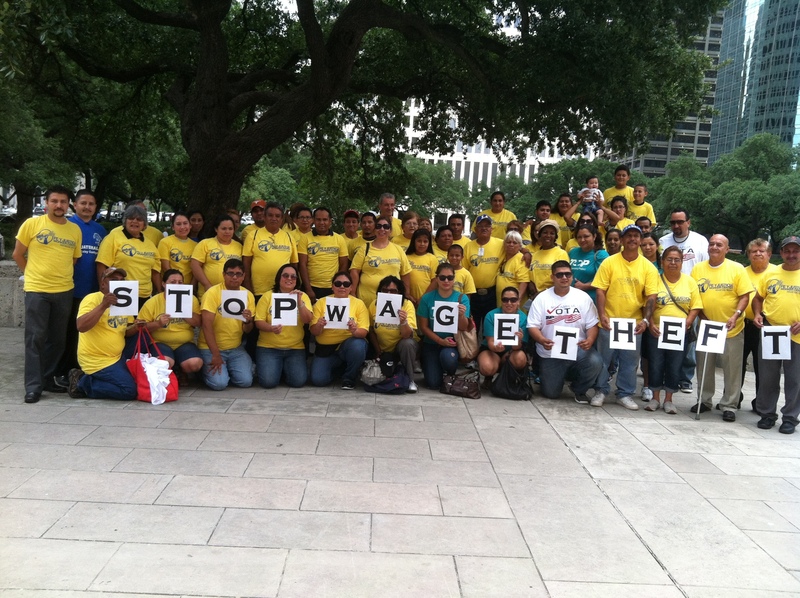 Due to the extent of the problem of wage theft in Houston, and especially it’s impact on low-income minority communities, the workers and members of Fe y Justicia Worker Center in Houston, Texas, decided to stand up and to fight back for what belongs to them: not just to claim their salaries that were stolen but also to fight for their dignity. When workers learned that the City of Houston was scheduling Capital Improvement Project (CIP) meetings in the neighborhoods to address the planning for various improvements, the workers organized to participate in these public meetings in order to call the attention of the City Council members to the Wage Theft issue affecting workers and its widespread impact on the community. On March 5, workers attended the CIP meeting in District C. Adalinda Guajardo, a daughter of a worker who was a victim of wage theft tried to address this issue. 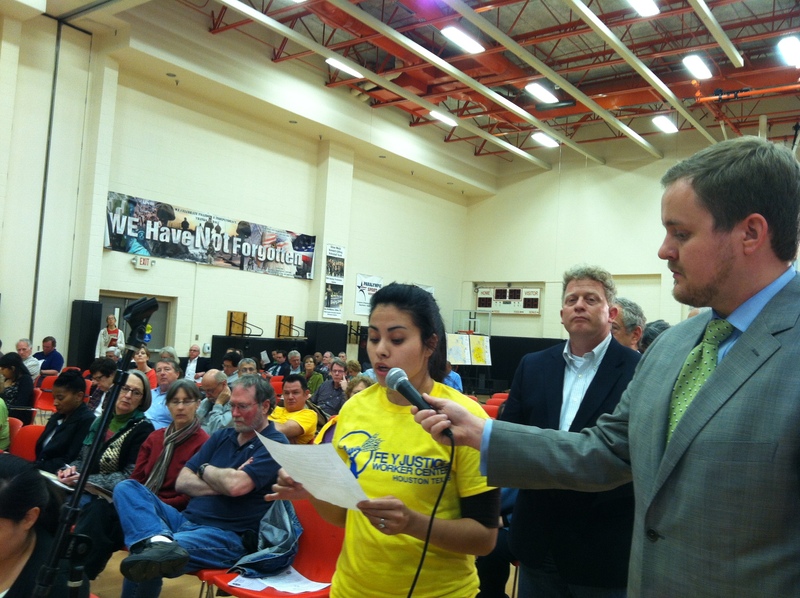 The staff of City Council member Ellen Cohen was very strongly opposed to letting Adalinda talk in the public meeting. But she did not give up and claimed her right to freedom of speech. She took the microphone and proudly represented her community. When Adalinda Guajardo stated: “My understanding is that this meeting is to discuss infrastructure improvements in our neighborhood. This is very important because our streets and community buildings need good maintenance, but we think there is also a need to improve some regulations for the wellbeing of our communities.“ Ciy Council Member Ellen Cohen interrupted her several times trying to stop Adalinda’s speech. However, Adalinda was firm in her statement until the end. “It was challenging when they tried to stop me, but in the end I showed them that we are not alone anymore, we are united and stronger,” Adalinda said. Mitzi Ordoñez, a victim of wage theft in the restaurant industry stated, “Wage Theft is an epidemic in our city and we think that it’s time to fulfill the promises made to our community not just to improve our neighborhood but also to improve our lives.” At the end many people attending the meeting congratulated Mitzi for her statement. City Council member Lester also approached her and thanked her for her participation. 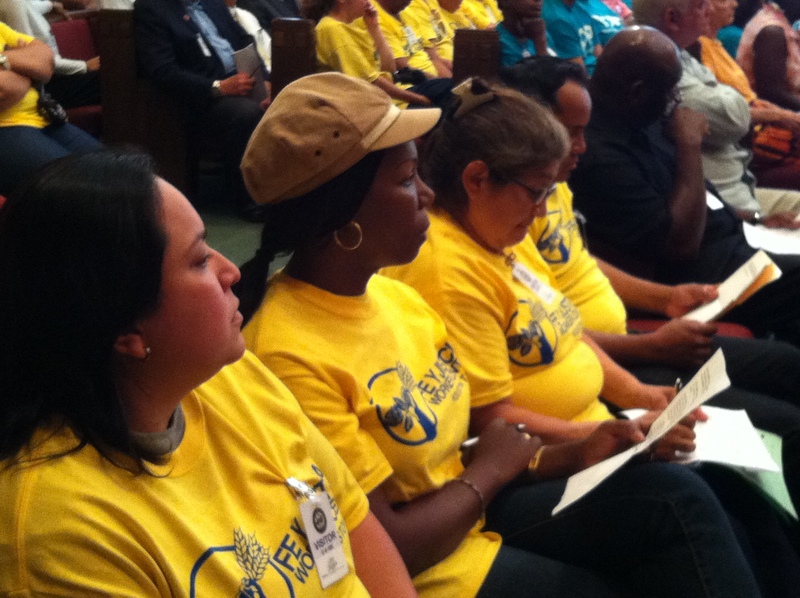 On March 19, workers attended the CIP Meeting of District B, but when City Council Member Jerry Davis, saw the team of “canaries” (workers wearing the yellow shirts of the Fe y Justicia Worker Center), he changed the program. At the end he did not let the public take the microphone to put their questions on the floor; instead he closed the meeting as soon the report was made and said that some tables were set out in the back in case the public had questions. Workers approached CCM Davis to talk with him about Wage Theft, but he told them, “I’m busy right now, but you can schedule a meeting with my staff later.” The workers went to his staff requesting the meeting, but they were told that they can call the office to follow up. 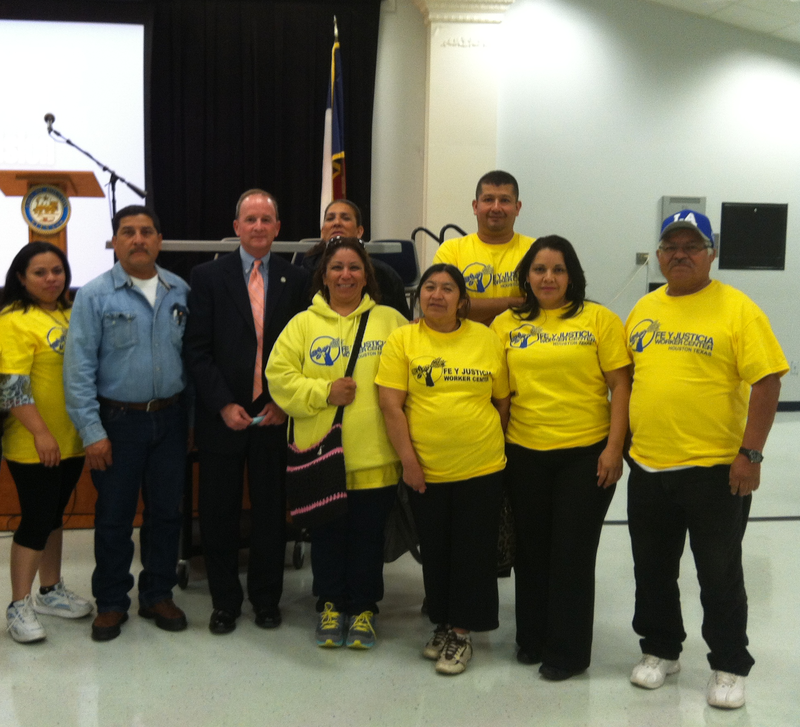 On March 21, members of the Fe y Justicia Worker Center attended the meeting of district K with CCM Larry Green. 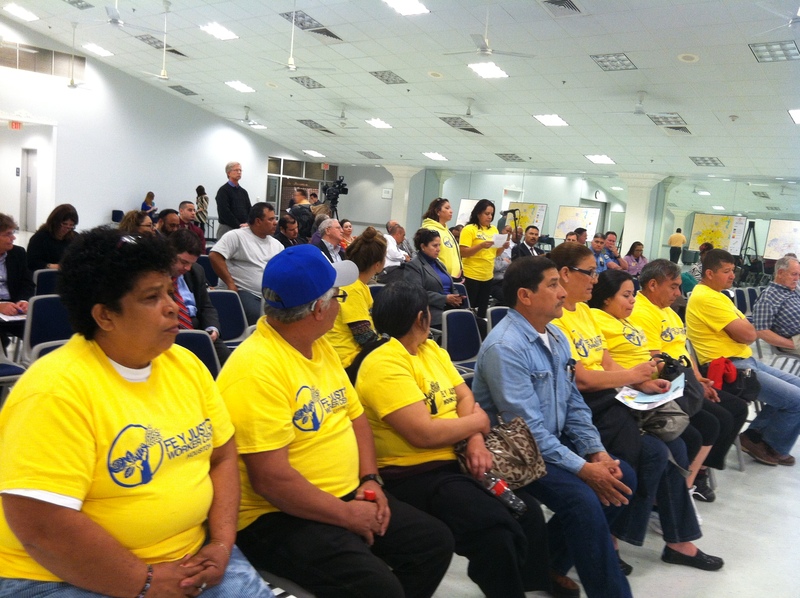 Again, workers were told that just projects for improvement in the neighborhoods could be addressed in the meeting. Jose Guajardo raised the point of a big flooding problem at Willowbend and Hillcroft. In the maps given out, this area was marked as an area of greater need, but it did not appear in the list of projects; instead it was marked as not funded. The CIP speakers responded to Jose’s concern about the neighborhood with a long story that they do not have money in this cycle for that project, and Jose responded addressing the Wage Theft Problem. Jose was honored putting in the spotlight the message of his coworkers and educating the community about Wage’s Theft. When the team of canaries of the Fe y Justicia Worker Center arrived at every CIP meeting they were recognized as the Wage Theft Workers. Some City Council members tried to stop them, others listened to them. What is important is that what they did mobilizing on the streets and in the CIP meetings gave them the power to be at the table discussing the need for an ordinance with the Mayor Annise Parker. 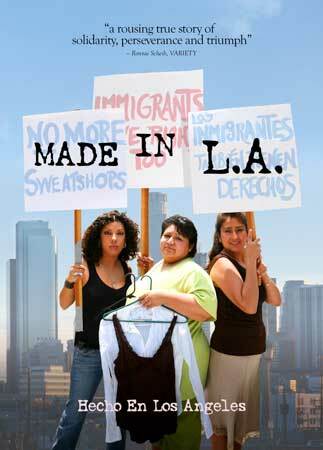 They were empowered and gained respect for themselves and for the Wage Theft cause. SI SE PUEDE! Calling all workers! Are you ready to celebrate? When was the last time you celebrated a worker? How about the last time you celebrated the value of your own work? In the city where millionaires & corporations get all the glory, it’s time we celebrated the folks who make a difference in our daily lives! 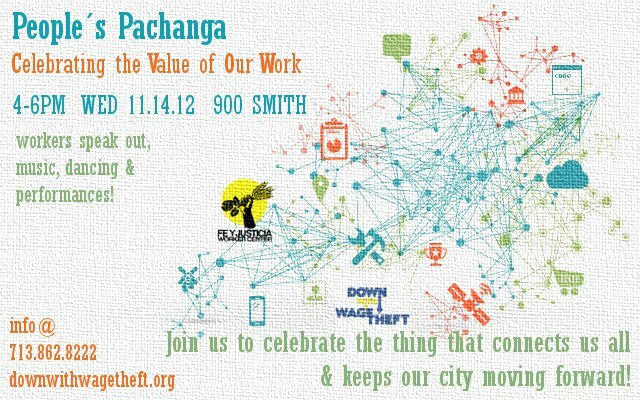 Join us for a worker speak-out, bring your favorite poem, song, picture, or story that highlights the value of your work! It’s time we make our voices heard and remind our politicians that WE move our city forward! Featuring an interactive art project, spoken word performances, original songs from our worker members, dancing and music from The Free Radicals! We’ll have an open mic to highlight your worker stories, songs, music, and experiences! Feel free to bring pictures of your work & your family! WORK ATTIRE ENCOURAGED! Join us for an inspiring story about worker solidarity, hear from Houston workers in the struggle, and support a great local coffee shop fighting to end human trafficking!